United Kingdom Prime Minister Theresa May will make a key statement on Brexit in the House of Commons on Monday after her devastating, historic defeat last week on her European Union (EU) withdrawal deal. Yet, while the pressure remains on London to get itself out of the current impasse, last Tuesday’s ballot should also be a wake-up call for Brussels and the EU 27 too. With May’s Brexit withdrawal deal potentially now dead, pressure will also intensify on Brussels to show more political imagination to reach a resolution. This includes potentially extending the two-year Article 50 process, which would require the unanimous support of the EU-27, with current end of March deadlines fast approaching. More imagination and flexibility is especially important, given that all sides want to avoid a no-deal scenario. This is because forecasts indicate such an outcome could be very damaging — not just to the UK, but also Ireland and continental Europe alike. As a Remainer in 2016, who wishes Brussels well and wants to see the UK to continue to be in a close, cooperative relationship with the EU-27 going forward, it has been painful to watch May’s hapless administration make mistake after mistake with the Brexit process. A different tone in negotiations could have made a real difference alongside a coherent negotiating strategy that didn’t artificially draw so many supposed ‘red lines’ so early. The chickens came home to roost with this flawed approach last Tuesday. UK governments have only been defeated in the House of Commons by a margin of more than 100 votes three times in the last century. All of those previous votes were in 1924, underlining what a historic reversal Tuesday represented, and why May’s remaining authority has been shredded. Yet, the backstory here is that the EU itself has not played a faultless game either. This is despite the plaudits it rightfully receives for proving a far more disciplined, effective negotiator than many in London anticipated two years ago. 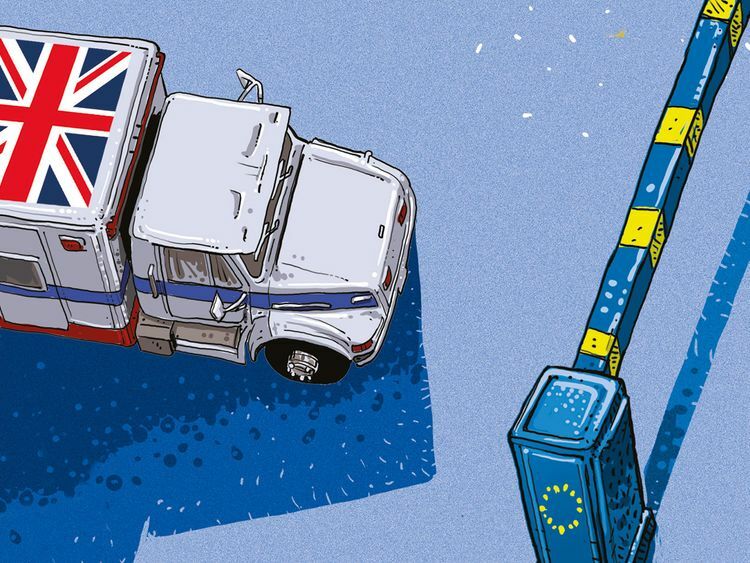 While the UK’s negotiation strategy and vision has been ‘missing in action’, Brussels has also struggled to define what Brexit should mean, partly because this forms part of wider, difficult questions around where the EU is headed in coming years. To be clear, Brussels has offered up numerous opportunities over the last two years to Britain, and explained repeatedly what these are, but there could potentially have been greater willingness to think beyond off-the-shelf, standard options. Of course, many across the continent have been concerned about the threat to the EU of a potentially successful — or at least the appearance of a successful — Brexit in coming years, and understandably do not want to be seen to shift positions fundamentally solely because of pressures from London. Yet, especially if a UK withdrawal agreement is ultimately agreed, there will be growing requirement for the EU-27 to think more ‘out of the box’ as the next wave of negotiations get underway during the transition period. Moreover, in what has been an inherently political negotiation over the withdrawal deal for the last two years, the EU has sometimes been legalistic with the process in a way that would have made it hard for any UK government, let alone this very incompetent one, to deliver. For instance, the withdrawal deal, and the separate one to set up a new relationship, are exceptionally hard to undertaken entirely in isolation, as the Northern Irish border issue underlines. Yet, there has sometimes been a doctrinaire view on this issue that underlines what a monumental mistake it was for May to trigger Article 50 before she had a proper negotiating strategy. Lack of imagination by Brussels in Brexit talks potentially stems from initial complacency in some quarters of the EU over the concerns UK voters expressed in the referendum which may have been dismissed too easily in 2016 as British exceptionalism. However, even French President Emmanuel Macron admitted last year that his country might vote for Frexit if a similar referendum were held in his country. Moreover, some EU-27 decision-makers, although initially concerned that Brexit could lead to a domino effect across the continent, have perhaps even come to see the UK’s departure as a ‘problem’ that may even be positive for the EU, especially in a context where polls in 2016 and 2017 have shown popular support for the EU at record levels across much of the continent. In part, this stems from a long-held perception in parts of the EU that further integration tends to only happen through crises. Yet, this has potentially risked underplaying the full scale of the challenges facing the EU, of which Brexit is just one, which will collectively determine its future place in the world and help frame its future relationship with the United Kingdom. These range from Schengen and Eurozone reform through to external challenges such as an emboldened Russia, the future of Nato and the relationship with the United States under President Donald Trump with his calls for the EU to be broken up. Taken overall, now is the time for Brussels, not just London, to redouble Brexit diplomacy to help ensure that a hard, disorderly exit doesn’t come to pass. Delivering a smoother departure needs clear strategy and thinking on all sides to deliver on a new phase of constructive partnership that can hopefully bring benefits for both at a time of significant geopolitical turbulence. Andrew Hammond is an associate at the London School of Economics.